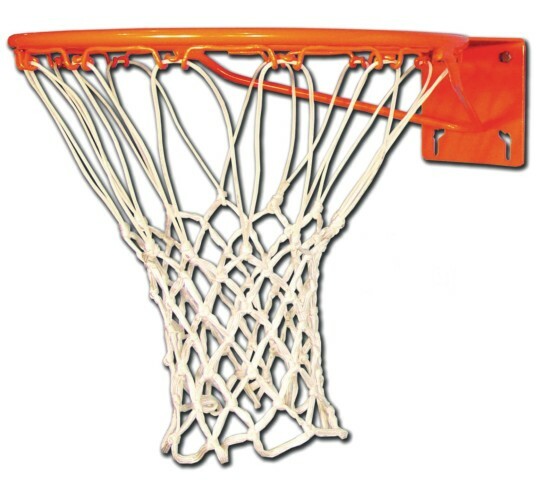 Front mount single 5/8" ring economy goal with a universal mounting hole pattern will fit most institutional backboards. Rigid style. Includes goal, net and hardware. 1-year warranty. Ships direct from the factory. 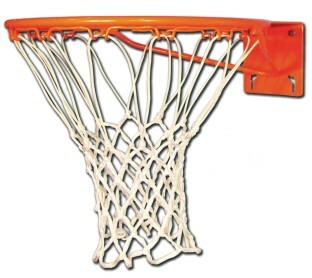 I will be using this on an indoor goal heavy portable for elementary students. It's just what I needed!